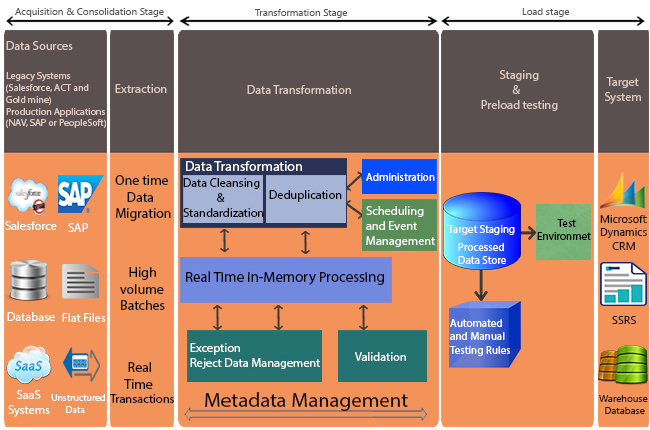 Data migration, from current CRM like Salesforce and ACT II to Dynamics CRM. Data synchronization, for bidirectional data change between CRM and other applications. Replication, with SSRS reporting application. Integration, with ERP applications like Microsoft Dynamics NAV and SAP. Location of business data is always in flux because of the wide spread technology landscape in an organization. SAI has specialized methodologies and process for the above scenarios.